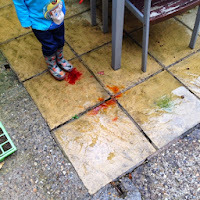 A horrible rainy day here in Gayton, I wanted to spend some time with T outdoors and so, we donned wellies and went outside to make some coloured puddles! 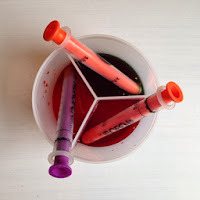 I watered down some food colouring, the green one was liquid food colouring (useless in my opinion and won't be buying again!) 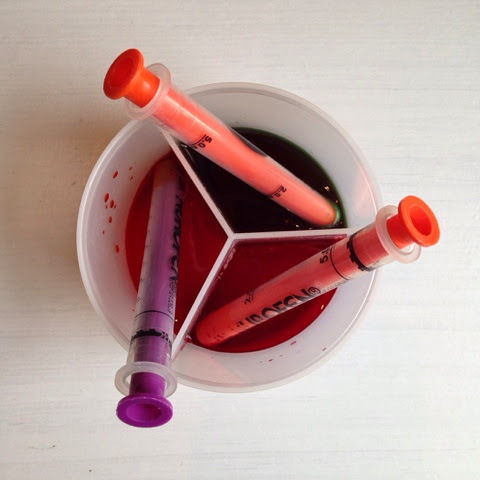 the orange and pink were gel colouring which I dissolved in water, I added some medicine syringes. 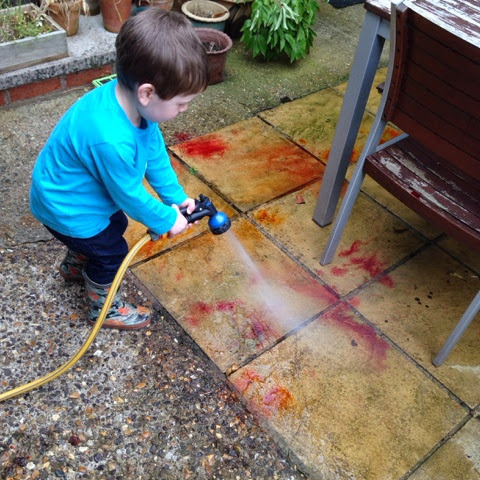 NOTE: the pot is a baby milk container which I find really useful for paint similar can be found at mothercare! We headed out into the rain, I gave T a syringe with about 5ml of colouring in and showed him how to squirt it, of course this was a complete novelty, squirting colours into puddles, T thought this was great and squealed with delight as he did it. 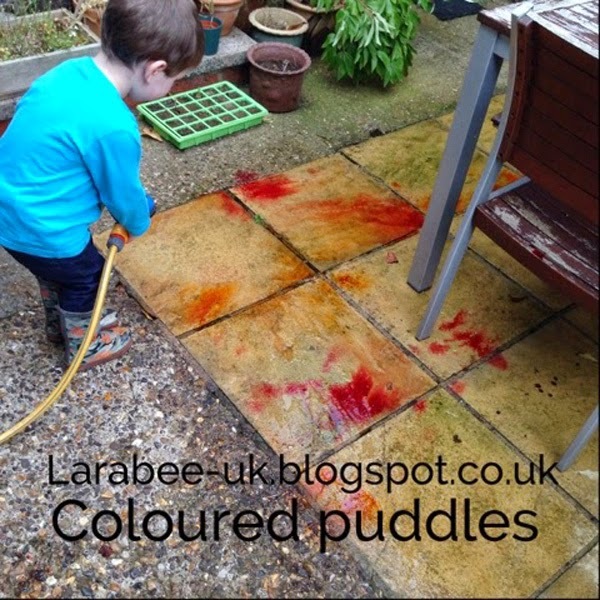 As you can see the green isn't very strong at all, but the orange and pink worked beautifully! 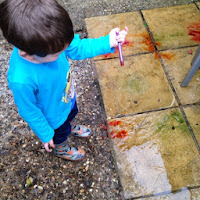 We had lots of fun out in the warm rain, when all of our puddles were coloured, T jumped in them, I must remember next time we do this, to make sure that T is wearing old clothes I was a bit paranoid about the paste colours getting on his clothes as they are very strong. Once we'd finished playing, we got the hose out and hosed all the colouring away. Of course, it doesn't have to be raining for you to do this activity, the rain just added to the fun for us and made it even more of a novelty. What a simple idea, I had that formula milk container! Such a simple, but fun idea!